There are many creative ways to use this blank, printable mask. Decorate it for a Mardi Gras or Halloween mask, or for any other celebration throughout the year. 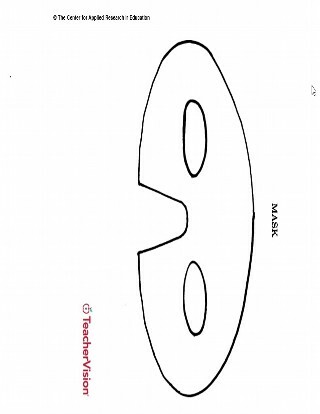 Print, cut out, and decorate this plain mask to wear as a Halloween mask, Mardi Gras mask, or for any other costume occasion. It can also be used as a decoration for a bulletin board, a name tag for a drama class or unit, a bookmark, a door decoration, or a locker/cubby name tag.